Bielenda Kosmetyki Naturalne was established in 1990. Bielenda is a family business and was founded by the great knowledge and passion of founder Barbara Bielenda, who graduate of the Faculty of Chemistry at the University of Gdansk. Bielenda pioneered in Poland the field of production all natural cosmetics with natural ingredients extracted from plants. Bielenda was the first company in Poland that have used a GINKGO BILOBA extract for the production of cosmetics. Ms. Barbara discovered it in her travel researches as the perfect plant with unusual properties. Since than the Bielenda’s cosmetics with Ginko Biloba extract, elicited a very enthusiastic reception in the market and have been in our portfolio constantly for last 20 years. Drawing heavily from nature and since, we keep seeking new, exotic plants with exceptional power that gives remarkable results in skin care. Our cosmetics contain ingredients such us waxes, plant extracts, fruits and herbs, clays, micronized algaes, aromatherapy oils, caviar extract, unique exotic oils and many others. We do not forget about precious resources that Polish Nature has to offer so our cosmetics contain honey, amber, brine or pea as well as many other natural and safe raw materials. Manufacture take place in Poland next to company’s headquarter, which allows maintainability of a superior quality standard. Although every batch is monitored for absolute purity, avoiding comedogenic and known allergens and no products are animal tested. Over the years, the international standards of what is “natural” was revised. Our company’s range is comprehensive and includes over 400 cosmetic products for face, body and hair care. We manufacture creams, masks, scrubs, balms, slimming cosmetics, sun care products, personal care products, hair care and hairstyling preparations as well as aromatherapy bath oils. Our cosmetics are available both in drug stores, small outlets and hypermarkets. 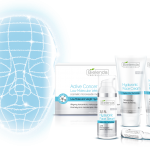 The company has launched its own range of Professional Cosmetics – BIELENDA PROFESSIONAL, for professional use in Beauty shops and SPAs. The whole range consists over 150 products. Bielenda constantly introduces unusual, innovative solutions not only in recipes, but also in the formulas. The basis for our treatments are: Watermelon, Garcynia Cambodia, Emblica extract, Easy-Lift, Microcollagen, Hyaluronic Acid, Colloidal Gold, Shea Butter…..
Cosmetologists appreciate the quality and effectiveness of BIELENDA PROFESSIONAL and also their customers rave about the unique fragrances of our products used for face and body treatments. We are proud to be one of the leaders on the domestic market. Skin therapists in different countries say they love our alga masks and scrubs. We respect animal rights and for that reason our cosmetics are not tested on animals. What is more, we expect the same attitude from our business partners and suppliers. . Within 20 years on the Polish market Bielenda has gained a significant position and became one of the most recognized brands in Poland. Bielenda holds ISO 9001:2008 i ISO 14001:2004 certificates. Especially important is for us a certificate 14001:2004. It is an international standard for environmental management aimed at minimizing the impact of business on the environment. ISO 14001 including oversight the use of natural resources, waste water, industrial waste, energy consumption. Although over the years, we remain faithful to the company’s philosphy, which allows you to create personal care products, while respecting the beauty of women and nature. We want all women can enjoy their beauty, using the high quality natural cosmetics . Therefore among of faithful clients is growing, giving us in this way an even greater incentive to create new recipes based on the most valuable and precious ingredients, which are fixed from nature.